with blueberry heart quilts: A modern quilt. wow, I love how you did it. Looks beautiful. Great job! Ale, por favor, podrías tomarle una foto al ejército de duendes que te ayuda con tus labores? 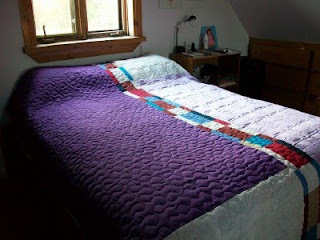 Hello Ale, these are great quilts you have here! 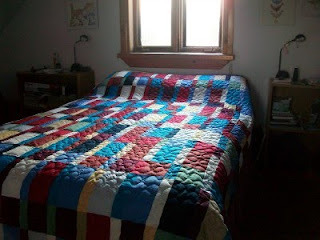 And I've never met a person who can do this, isn't it heavy lifting and stitching them together? 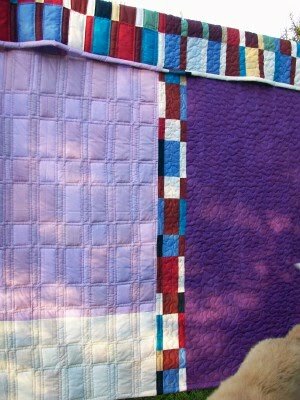 LOVE the two sides of the quilt...and the way you chose to quilt it differently also. Great job!